The team behind MURDER ONE know a thing or two about how to write a bestseller, and they are delighted to bring you two of Ireland’s top authors to share their knowledge in the perfect location, Pearse Street Library. As well as housing an incredible archive, Pearse Street is the headquarters of Dublin UNESCO City of Literature and Dublin Libraries who we have been working closely with to bring the festival to fruition. Successful crime novels demand two things, great plot and great character, and that’s what our authors will be talking about. But don’t feel that if you don’t write crime, these workshops aren’t for you – the techniques outlined apply to all genre. Who doesn’t want to be hooked into a novel, frantically turning the pages to find out what happens? Whatever you write, these workshops will bring you a step closer to achieving your goals. And whatever stage you are at, our Confessions of a Secret Agent is an absolute must! To plot or not to plot that is the question! Join this workshop with Irish Book Awards Crime Novelist of the Year 2017, Julie Parsons – whether you a just starting or mid-way through your novel, or have finished and know it’s just not working, Julie will give expert guidance on how to hook your reader, build tension and deliver a satisfying ending. A story can start with a character, a situation, a question – what if? Find out how much you need to do to build the foundations of your novel and techniques for delivering a pacey story. Julie will explain the importance of conflict, both internal and external and take you through her own process, honed over seven bestselling and award winning novels. 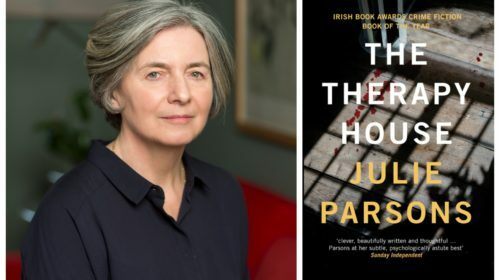 Julie Parsons’ most recent thriller, The Therapy House, won the Crime Fiction Book of the Year award at the Irish Book Awards, 2017. She has been a full-time writer since 1998 when her first novel Mary, Mary was published to critical and commercial success. It was translated into 17 languages and published in the US. Her subsequent novels were The Courtship Gift, Eager to Please, The Guilty Heart, The Hourglass and I Saw You. Julie is currently a columnist with the Irish Times. Her column, ‘In Praise of Older Books’ appears weekly in The Ticket. Whatever stage your book is at, without memorable three dimensional characters you have no story. 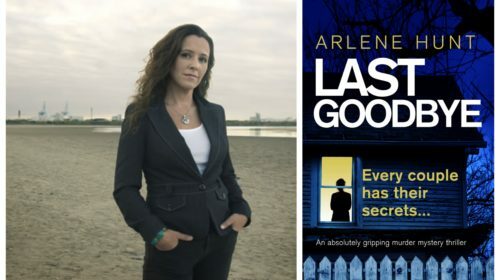 Join this workshop with bestselling crime writer Arlene Hunt to understand the building blocks of a great book. Learning how to develop character and how to create an original protagonist is vital. How well do you need to know your characters and how many should you have in a book? How should they develop and change? Arlene Hunt will give you vital tips on creating incredible and memorable characters. This is a workshop for both new and experienced writers that will make you think and improve your fiction. Arlene Hunt is an author of ten novels and co-founder of Portnoy Publishing. She is currently working on a new series, the first to be published early 2019. Her last novel was released in May 2018, entitled The Last Goodbye. She lives in Dublin with her husband and can usually be found half way up a mountain with two German Shepherds. 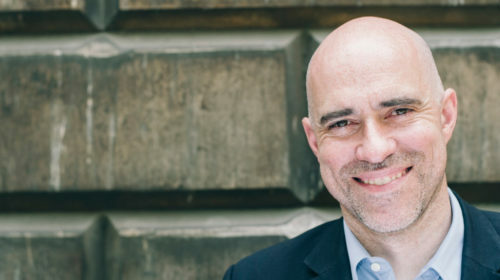 Simon Trewin has spent the last twenty-five years as a literary agent working with some of the biggest names in the world and helping launch the careers of countless debuts. In this candid, and, at times, irreverent event, he will lock the doors, swear you all to secrecy and reveal his top ten essential tips to getting published and also tell some stories of people who got it terribly terribly wrong…and right. Simon is a Partner in the global entertainment agency WME. He has been an agent for over twenty years and is a three time nominee for the Bookseller Industry Awards Literary Agent of the Year. Trewin began his career in the theatre and moved to the world of literary agenting 25 years ago and has worked with a string of internationally bestselling authors who have, between them, either been nominated or have won the Man Booker, the Baileys, the Costa, the CWA Daggers, the Irish Book Awards and the IMPAC. Simon represents a number of crime and thriller writers including Robert Goddard, Alex Barclay, Luke Delaney, A A Dhand, Jake Woodhouse and Sam Blake. Simon Trewin is always on the look out for new talent in this area and he also has a particular affinity for the Irish market – representing, as he does, John Boyne, Mary Costello, Alex Barclay, Paul Lynch, Claire Kilroy, John Connell, Sarah Griffin and Sam Blake.